These designs remained in use until 1917, but the 1915 printings (Sc1a-3a, SG4-6, YT1a-3a) were on thin, unsurfaced paper. Liechtenstein is described in Wikipedia as "a doubly landlocked German-speaking microstate in Central Europe. It is a constitutional monarchy with the rank of principality, headed by the Prince of Liechtenstein. Liechtenstein is bordered by Switzerland to the west and south and Austria to the east and north." 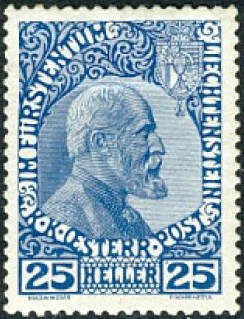 Gibbons describes the 1912 to March 1920 issues (Sc1-16, SG1-19) as "of the Austrian Post Office" and issues from July 1920 onwards (Sc18, SG20+) as "of the Principality of Liechtenstein", noting that a new constitution was adopted on 5th October 1921. 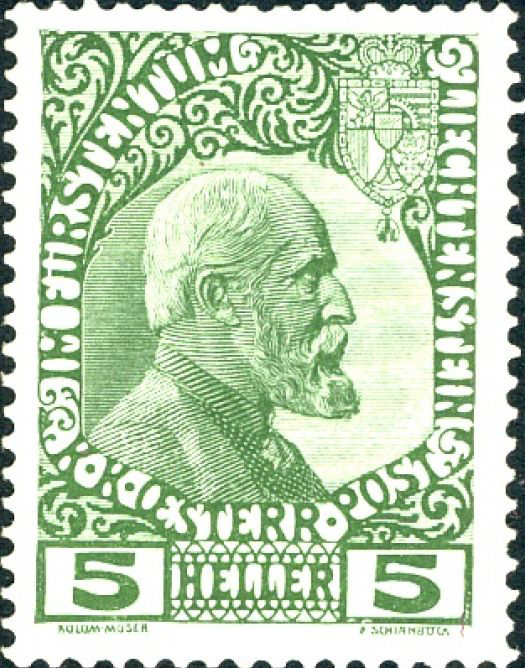 Scott states that "the post office has been administered by Switzerland" since 1921 and starts a new section with surcharges for Swiss currency at Sc51, SG46.